Posted on August 29, 2017 at 6:22 am. Are you thinking whether to bring in a repairman for your old AC or get a completely new unit? In this episode, Napps will walk you through 5 signs that your AC already needs AC replacement. 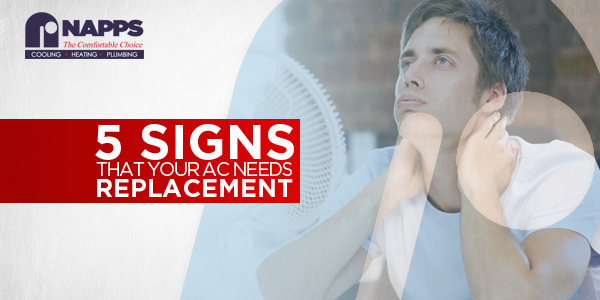 You have already made multiple calls to your AC repairman for frequent repairs. This is not normal. Frequent repairs to your existing unit maybe an indication that you already need to invest in a new air conditioner. Your energy bills have increased even without a significant change in the weather. Old age can be pretty taxing on your AC units, thus they need to work harder to provide you cool air. As a result, your energy bills increase. If you’ve compared your energy bills to your neighbors and found out that yours is much higher, that’s a good sign that you need a new air conditioner. Your air conditioner is producing loud or strange sounds. Loud noises can be an indication that your unit has missing or broken components, air leaks, or having problem operating to its full capacity. You’re having temperature swing throughout your home. If you notice hot and cold spots in your home, it is likely that your AC is no longer meeting the cooling demands of your home. If you think that your AC already needs replacement, it’s best to tap a professional cooling specialist at Napps before the warmer months set in. 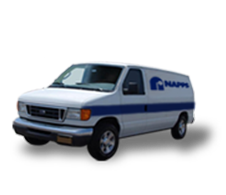 At Napps, we believe that in delivering the highest quality of workmanship and value for money for every customer. That’s why all our HVAC and plumbing specialists are highly trained and certified. Call us at Napps if you need to replace your old AC with a new higher efficiency unit.